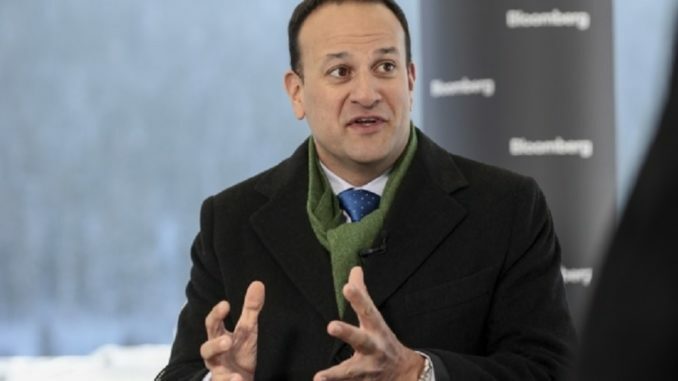 Taoiseach Leo Varadkar has said in an interview with European TV channel Bloomberg that brexit could bring about the end of the world and the death of everyone in it. Mr Varadkar was in Brussels to find out the latest news on crucial talks that are currently taking place between the EU and the UK to sort out the Irish border issue. Ireland’s future is currently being decided by Britain and various EU leaders such as alcoholic woman-groper Jean Claude Juncker who the Irish government is perfectly happy to let represent our interests in the talks. “The Irish border has nothing to do with Ireland.” said Varadkar proudly. “It’s between the UK and the EU. We know our place. The Taoiseach is due to give a speech on brexit tomorrow in the European Parliament where he’s sure to find a supportive audience.